The Allen & Heath Xone 4D controller and mixer continues to entwine the seamless integration of computerized digital media into the world of traditional DJing, but with a further enhanced feature set. The Allen & Heath Xone 4D combines a fully featured, high specification professional analogue DJ mixer with 105 MIDI controllers and 227 MIDI messages. New features for the high-end 4D include the new 20-channel inputs that Allen & Heath-designed. The sound card enables endless possibilities for your mixing potential. If that wasn’t enough, the Allen and HEath Xone 4D has a totally new 20 channel 96 kHz / 24-bit soundcard connecting via wide-bandwidth USB 2.0 USB. It uses 24 bit stereo Analogue to Digital converters and Digital to Analogue converters, meaning the Xone 4D turns digital computer music files into actual audio signals that can be amplified and played. This means you no longer have to rely on your laptop, you can store converted music on the soundcard for portable DJing. DJkit believe all the above features allow Xone 4D to be a progressive mixer and controller that has been developed in conjunction with some of the world’s most cutting-edge DJ/producers. The midi controller has 227 MIDI control messages available from 105 separate MIDI controls. You will never get bored with a total of 50 switches available allowing you to personalize your mixes. Considering purchasing the Allen & Heath Xone 4D? Have questions? Ask people who've recently bought one. Do you own the Allen & Heath Xone 4D? Why not write a review based on your experience with it. 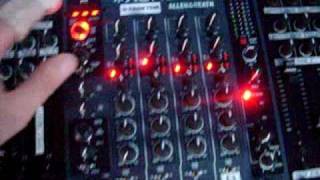 Seen a video for Allen & Heath Xone 4D online or have you own video? You will earn 4,396 loyalty points with this product worth £10.99, when logged in. 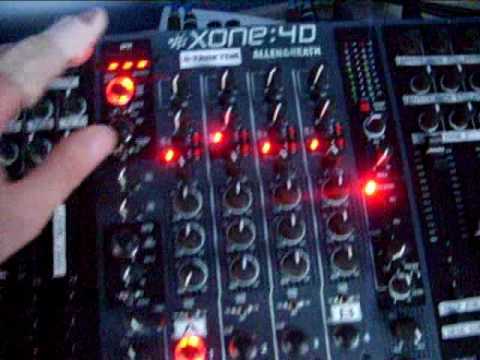 Check out Allen & Heath Xone 4D on DJkit.com!